The BSS was jointly established in 1997 by the Environment Agency and British Waterways. A thoroughly go-ahead, modern and informal family club devoted to the pursuit of small boat sailing. Said to be one of the best sailing regattas in the UK, Torbay Week offers exhilarating racing set against the beautiful backdrop of the English Riviera. 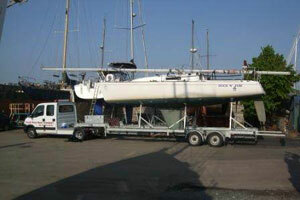 Sea Worthy Marine specialises in the servicing and repair of outboard engines. We work on a yachtsman to boat sailmakers basis to create top quality cruising and cruiser/racing sails for all types of boat up to 45 feet (15m) overall. Torbay Seaways has been trading on Torquay Harbour side for over 30 years. 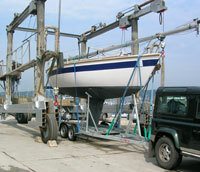 We are a family run business specialising in Boat Lifting. 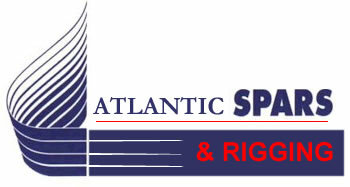 Atlantic Spars and Rigging have been a leading supplier of yacht spars and rigging products for the past 30 years. Velos Insurance Services are Independent Marine Insurance Specialists with many years of experience within this unique area of the industry.